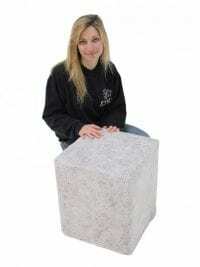 Concrete Block Effect Stool/Table to hire! Our Concrete Block Stool/Table is covered in an incredibly realistic concrete effect fabric, so they bear a striking resemblance to a real concrete. 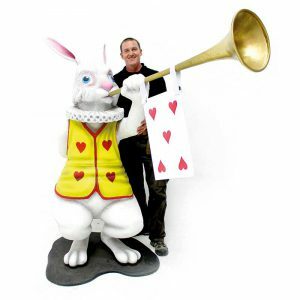 These stools are comfortable and perfect for any Enchanted Forest, Medieval or Pirate themed event or party. 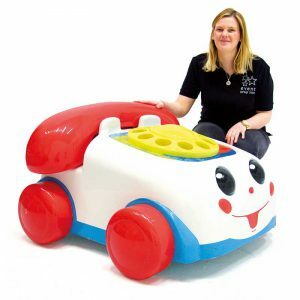 This prop is versatile in that it can be used as a stool or, for a small extra charge, it can be used as a coffee table with the simple addition of an acrylic top; simply ask for this option when you speak to the sales team. KAPOW cushion (square) to hire. 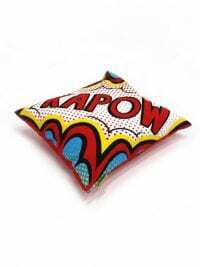 Set off your Superheroes themed event with these colourful KAPOW cushions. 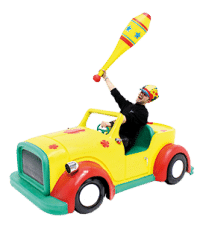 These would look great at your event scattered on our settees and chairs; and why not add a POW and BLAST to complete the comic book sound effects, by hiring our POW and BLAST cushions too! BLAST cushion (square) to hire. 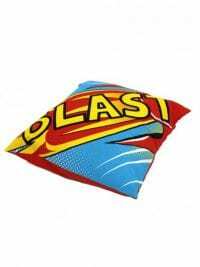 Set off your Superheroes themed event with these colourful BLAST cushions. These would look great at your event scattered on our settees and chairs; and why not add a POW and KAPOW to complete the comic book sound effects, by hiring our POW and KAPOW cushions too! POW cushion (square) to hire. 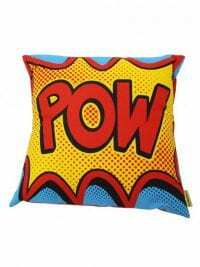 Set off your Superheroes themed event with these colourful POW cushions. These would look great at your event scattered on our settees and chairs; and why not add a ZAP and BOOM to complete the comic book sound effects, by hiring our ZAP and BOOM cushions too! Giant Tartan Floor Cushion to hire! 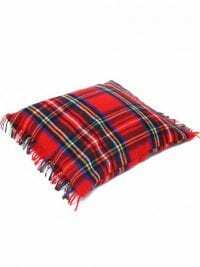 These floor cushions are covered in a fabulous traditional red tartan fabric and would be a great addition to your themed event. Soft and comfortable they would be perfect to create a relaxing area for themes such as: British, Seaside, English Country Garden….and many more! Fabulous Forest Cushions for hire. These cushions would be a perfect accessory for our Tree Seating Booth (FUR317) or for themes such as English Country Garden or Enchanted Forest where the lovely natural green colour would suit your colour scheme. 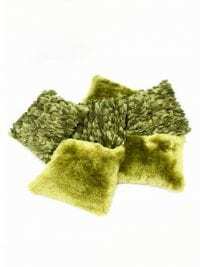 The set consists of 6 textured green coloured cushions. 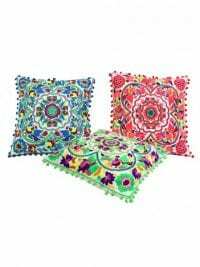 Please note that the price quoted is for a set of six cushions and that style and colour may vary slightly. Take a look at these stunning jute cushions. 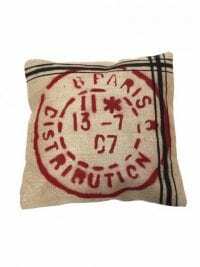 These industrial-looking cushions would look great in any number of themes; from Parisian to Circus to Pirate, and would look great with our Jute stool or Jute Ottoman too! Please note that the shape and print on each cushion will vary and we cannot guarantee which you will receive. 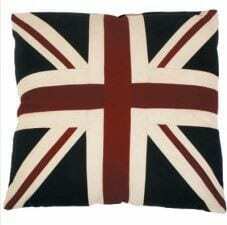 Vintage Union Jack Cushion to hire. 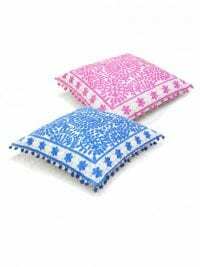 This gorgeous hand-made, high quality cotton cushion is perfect for any British, Street Party or Vintage themed event or party and will look great as dressing on your event seating. Vintage USA Cushion to hire. 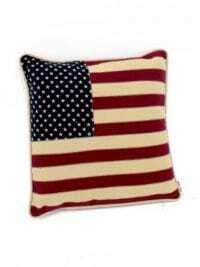 This gorgeous hand-made, high quality cotton cushion and is perfect for your Wild West, American or Vintage themed event or party. 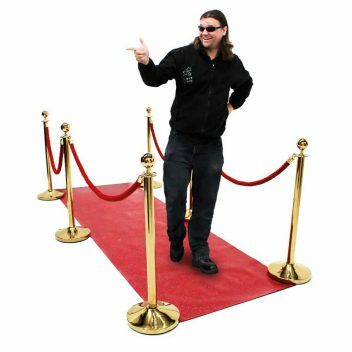 It will look great as dressing on your event seating. Traditional Nordic Winter Cushions to hire. 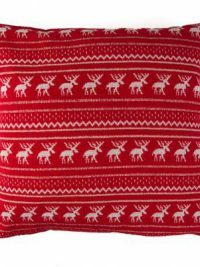 These knitted cushions would complement all manner of themes, from Aprés Ski, to Rustic Christmas or Christmas Grotto and would look great with some of our event furniture such as our brown Chesterfield range. 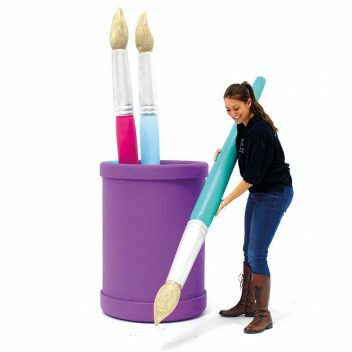 Or why not use them to dress our rustic furniture items? Range of Brown/Caramel Coloured Faux Fur Cushions for hire. 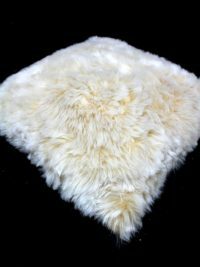 These quality faux fur cushions would look great in so many of our themes, from Aprés Ski through to Winter Wonderland or Narnia, and will truly complement our event furniture such as our brown Chesterfield range. Or why not use them to dress our rustic furniture items? 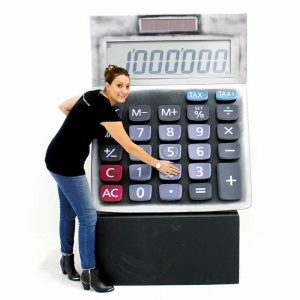 Please note that the price quoted is per individual cushion and the style and size may vary, as shown. Range of Cream/Polar White Coloured Faux Fur Cushions for hire. Caramel/Brown Coloured Faux Fur Throw for hire. 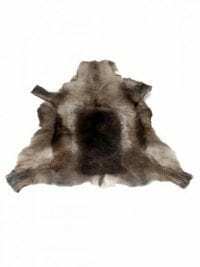 This quality faux fur throw would look great in so many of our themes, from Aprés Ski or Rustic Christmas, through to Nightclub or Narnia, and artistically draped will complement our event furniture such as our brown Chesterfield range. Or why not use it to accessorise our rustic sleigh? Cream Coloured Faux Fur Throw for hire. Cream Coloured Faux Fur Beanbag for hire. This quality faux fur beanbag would look great in so many of our themes, from Aprés Ski or Rustic Christmas, through to Nightclub or Narnia, and artistically draped will complement our event furniture such as our brown Chesterfield range. 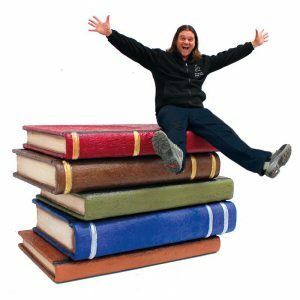 Please note that the price quoted is per beanbag and the picture containing the throw, beanbag and cushion is to illustrate the other items we can offer for hire in this range only. Caramel Coloured Faux Fur Beanbag for hire. 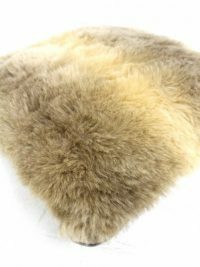 This quality faux fur beanbag would look great in so many of our themes, from Aprés Ski or Rustic Christmas, through to Nightclub or Narnia, and will complement our event furniture such as our brown Chesterfield range. Grey Coloured Faux Fur Beanbag for hire. This quality faux fur beanbag would look great in so many of our themes, from Aprés Ski or Rustic Christmas, through to Nightclub or Narnia, and will complement our event furniture such as our black Chesterfield range. We have a matching throw and beanbag to hire too (see below). 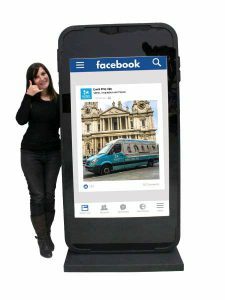 Please note that the price quoted is per beanbag and the group picture is to show you what other lovely items we have in our faux fur range! 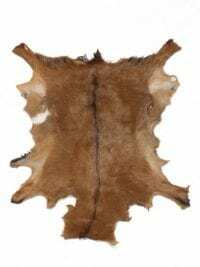 Authentic Reindeer Hide to hire. 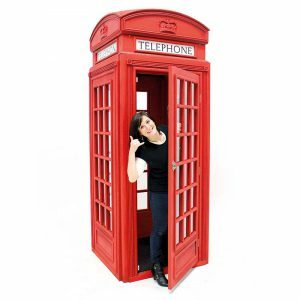 This would be perfect party decor hire for any Apres Ski themed event where you could drape them across chairs & benches in your Chalet! 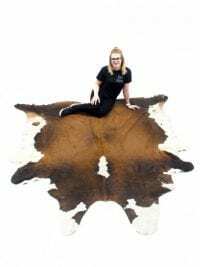 Authentic Goat Hide to hire. 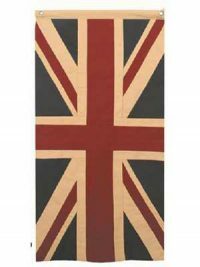 This beautiful hide is the perfect prop to set the scene for many themes, including: Wild West, Christmas Chic, Apres Ski and many many more. We think it would look great with our Chesterfield Furniture and will help to finish any seating or breakout area at your event or party. 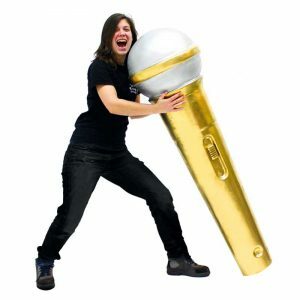 Please note that as this is an authentic natural item the cvolouring and shape may vary. 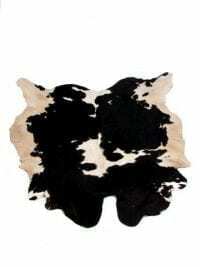 Authentic Cow Hide to hire. Perfect for any Wild West, Western, Cowboy or Indian themed event. We also have a black and white version too! Please note that the style and size may vary from that shown. Perfect for any Wild West, Western, Cowboy or Indian themed event. We also have a brown and white version too! 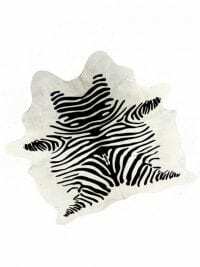 Zebra Printed Hide to hire. 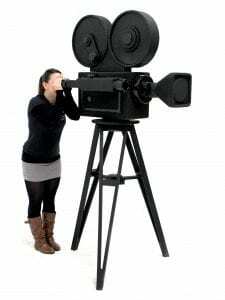 Perfect for any African or Safari themed event or party. Check out some of our other African animal themed props below. Please note that the style and size may vary slightly from that shown. 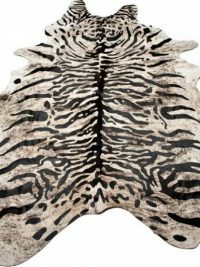 Java Tiger Printed Hide to hire. Perfect for any Asian themed event or party. 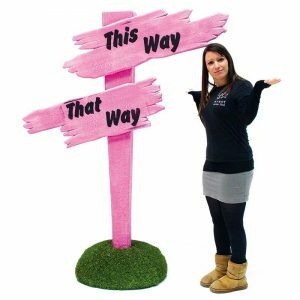 Check out some of our other Far Eastern themed props below. Wow – this cushion set really takes us back! Our Speaker Cushion Set, comprising of three cushions; two speakers and a cassette deck, is a must for any music, 70s, 80s, or 90s themed party or event. We also have some Cassette Tape 'A' and 'B' Cushions to hire (FUR376/377), so why not hire them as well; they'll really set your event furniture off and help take your guests back to a time before MP3! The cushions are double sided. Please note that the price quoted is for a set of three cushions. Wow – this cushion really takes us back! 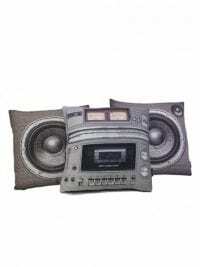 Our Cassette Deck Cushions are a must for any music, 70s, 80s, or 90s themed party or event. 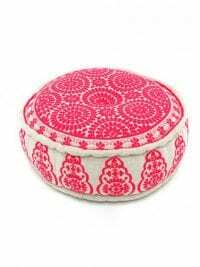 Use them on their own or as a set with the Speaker Cushions (FUR378/C) to add an element of fun to your furniture. 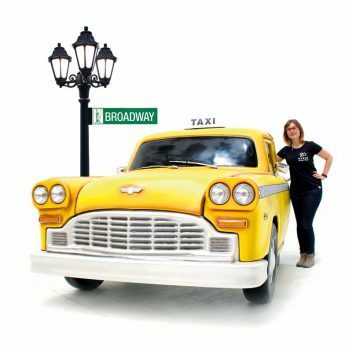 Wow – this cushion really takes us back! 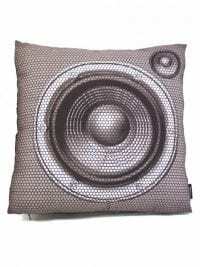 Our Speaker Cushions are a must for any music, 70s, 80s, or 90s themed party or event. 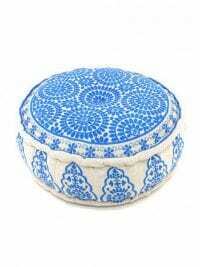 Use them on their own or as a set with the Cassette Deck Cushion (FUR378/C) to add an element of fun to your furniture. Wow – this cushion really takes us back! 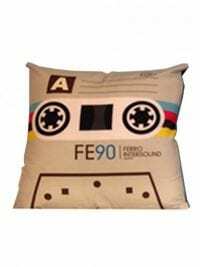 Our Cassette Tape 'A' Cushion is a must for any music, 70s, 80s, or 90s themed party or event. 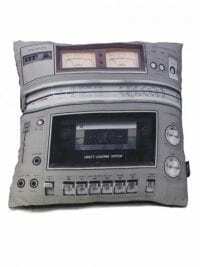 We also have some Cassette Tape 'B' Cushions to hire (FUR377), so why not hire them as a pair to really set your event furniture off and help take your guests back to a time before MP3! The cushion is double sided. Wow – this cushion really takes us back! 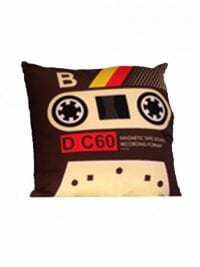 Our Cassette Tape 'B' Cushion is a must for any music, 70s, 80s, or 90s themed party or event. We also have some Cassette Tape 'A' Cushions to hire (FUR376), so why not hire them as a pair to really set your event furniture off and help take your guests back to a time before MP3! 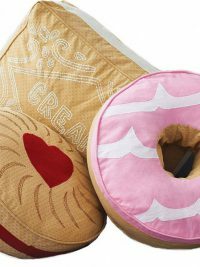 Enjoy our fabulous biscuit-themed cushion set, the perfect accessory to a Chesterfield sofa for British or Alice in Wonderland Tea Party Themes! Set consists of Custard Cream, Party Ring and Jammy Dodger!